You may have heard all about Tenerife, Gran Canaria and Lanzarote, famous for their bountiful beaches, boisterous nightlife and tourist hot spots, but what if you’re looking to escape the madding crowds? The Canaries’ less talked about siblings offer an entirely different type of holiday, away from the hustle and bustle of the bigger islands. We’ve put the spotlight on four unique Canary Islands to show you a world far removed from the usual offerings. A stark volcanic landscape, lunar-like backdrops, lush vegetation and gin-clear waters make El Hierro fascinating to explore as a nature-rich outdoor playground for cyclists and walkers. It was also designated a Biosphere Reserve by UNESCO in 2000, meaning 60 per cent of the island is protected from development, keeping it largely untouched by mass tourism. El Hierro is home to just over 10,000 people living in small towns and villages making it an ideal place for getting away from it all. 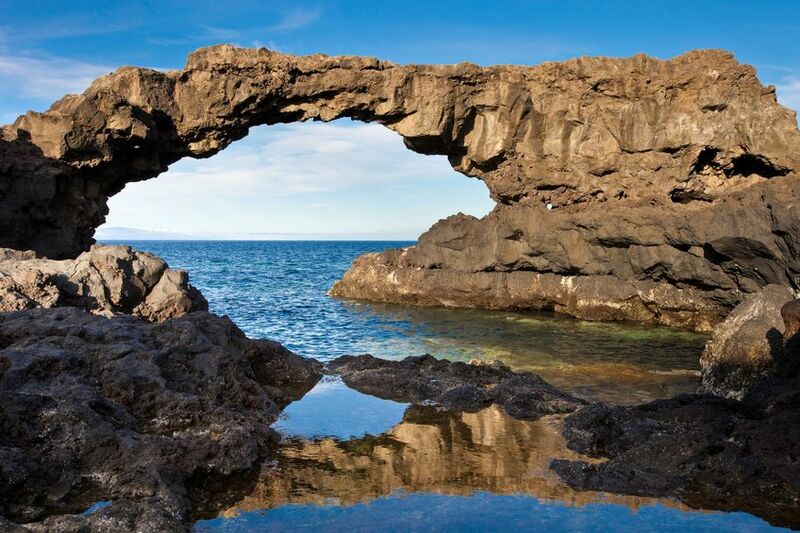 Often referred to as the archipelago’s best kept secret, El Hierro also boasts some delicious local cuisine especially in the capital, Valverde. 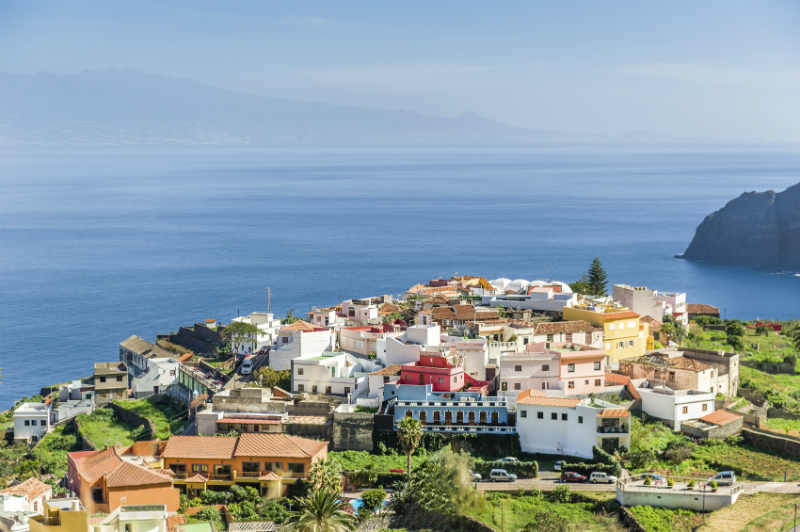 La Gomera is the second smallest of the Canary Islands after El Hierro, with a population of around 24,000. This modest island is sought after by discerning holidaymakers looking for unadulterated rest and relaxation. The island often referred to as the Columbian Island, as it was Christopher Columbus’s last port of call in 1492 before discovering the Americas and is home to the fascinating whistling language: Silbo Gomero, which is still taught in schools and sometimes used on the island. The island is rich with valleys, ravines, sheer cliffs and dense forest – hence the locals’ whistling language which was once used in order to communicate between these vast areas of land. 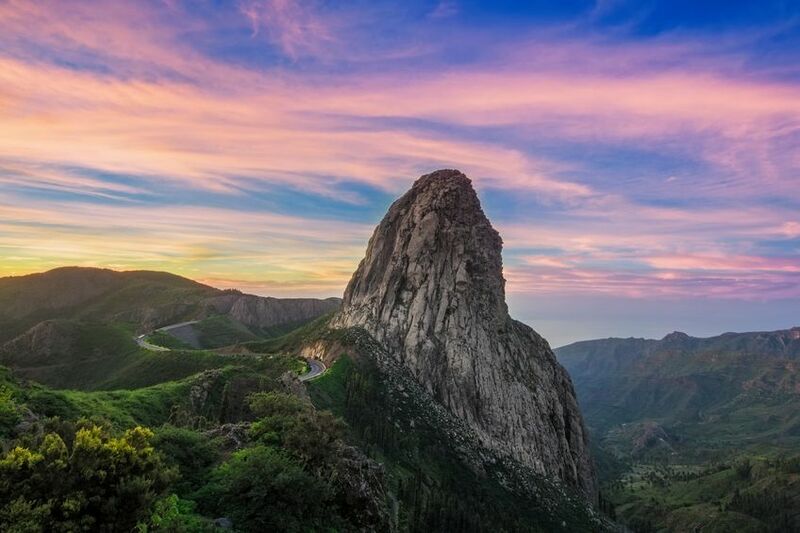 La Gomera is not known for its hedonistic nightlife or multitude of busy beaches, but it does offer a wealth of activities that complement its quieter character. 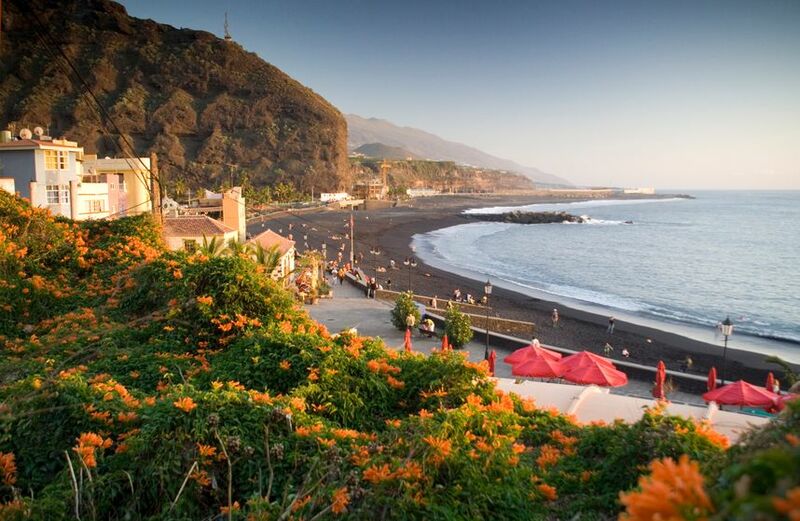 Known as the greenest of all the Canary Islands, it’s no surprise that La Palma’s nickname is ‘Pretty Island’. Looking like the set for Jurassic Park in places, you’ll be treated to peaks, ravines, volcanoes and the otherworldly petrified lava flows that pepper the island’s dramatic, fertile landscapes. Aside from the main three Canary Islands, Fuerteventura is probably the best known of the other islands. Its name literally means ‘strong winds’ reflecting its importance as a windsurfing and sailing mecca. The main tourist resorts lie at the northern and southern ends of the island. Fuerteventura boasts some of the biggest and best beaches in Europe and, due to its close proximity to Africa, it has the longest hours of sunshine per year in all of the Canary Islands. This helps make it a great winter destination; in fact, you can enjoy the island pretty much all year round. Go windsurfing or kite surfing. Conditions are perfect along much of the coast but particularly in the straits between Corralejo and Lanzarote – an area known as the Estrecho de la Bocaina. Whether you are an experienced surfer or a novice looking to learn at any of the island’s many windsurfing and kite surfing schools, there’s a lot of fun to be had off Fuerteventura’s shores. There is an abundance of boat tours available, from tours across the turquoise waters to Lobos Island stopping off for snorkelling or fishing to sunset sails for couples from Corralejo. Take a close look at the lay of the land on a Volcano Twizy dune buggy and camel tour from Corralejo. Traverse some of the island’s lunar-style wilderness by buggy and onwards by camel across powdery, white sand dunes for an adventure to remember.